Often lost in all the talk about creating content in the world of social media is blogging. Specifically, guest blogging. Sure, we have all heard about how wonderful Twitter is, and how viral success on YouTube and Facebook can propel you and your business to greater heights. But guest blogging is right up there, too, as one of the best ways to enhance your presence on the Web. So guest blogging is basically writing content for a blog of which you are not the author. Usually you’d be invited by the owner of a blog to write content for him or her. Or it may come to happen that you know a blogger – a friend, business partner, colleague, etc. – who has agreed to exchange content with you, so that you can blog on each other’s sites. 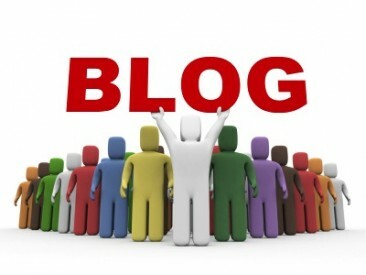 Of course, guest blogging opportunities can also come up by way of energetically reaching out to the blogging world. Like answering an open call for contributions. Or contacting authors of blogs that you follow. Like using search engines to find blogs that want your content. Regardless of how it happens, guest blogging can give your Internet marketing strategy a much-needed push. If you aren’t yet convinced of how it can help, then below you’ll find the top reasons why you should start guest blogging. Guest blogging extends your reach and allows you to be more influential than if you just limited yourself to blogging on your own site. That’s because whenever you write a guest post, you’ll be reaching a new audience. You’ll be engaging with new readers, some of whom may otherwise not have found you or heard about you. Guest blogging also allows you to expand your network of readers, and to give yourself a chance to join either new conversations or push current ones forward. Remember: these other blogs will have their own share of subscribers, their own social networks: guest blogging is your chance to leverage them. This is related to the above idea of being able to create new connections and more networking opportunities for yourself. Indeed, if you produce great guest blog content, chances are readers will be interested to find out more about you – what you know, what you can offer, etc. Some of them may even hire you for a job, recommend your work, or ask you to write guest posts for their own blogs. Guest posting also allows you to achieve greater exposure – targeted exposure. It’s only natural that you’d be guest blogging about subject matters that are familiar to you, and which are relevant to your industry, right? When you write your guest post on a blog that focuses on these subject matters, then you’ll be reaching out to readers who might be very interested both in the subject matter and in your company. Guest blogging can position you as an expert or leader as effectively as speaking at an industry conference can. It establishes your authority and boosts your reputation (as well as your resume), such that you are seen by people as a kind of thought or opinion leader whom they can turn to and trust. By sharing your expertise through guest blogging, you’re also attracting prospective clients who might otherwise have not given you a chance if they just, say, visited your website or saw your advertisement. Blogging can sometimes leave you squeezed out, right? Well, if you know you are writing for a blog that you don’t own, you will feel the urgency of writing a publish-worthy post, something that will show that the invitation extended to you by a blog owner was worth his or her while. Guest blogging, indeed, can inspire you in new ways, and allow you to think anew about what a reading audience might appreciate. You take the time to conduct research, to proofread and spell-check, to think through and analyze and come up with ideas that may not have occurred to you before. You also get to hear comments from people who are reading your work for the first time – and use these comments as constructive criticism or as a starting point for further discussions. In short, guest blogging can raise your content development game to a level that will benefit your own online marketing efforts. Looking to support your link-building and SEO strategy with something that can sustain your efforts for awhile? Try guest blogging. Not only does it bring you more traffic to your site or blog; it also generates inbound links that you cannot always get from article directory submissions or relentless comment posting. Furthermore, the posts that you write on others’ blogs can stay on their home page longer than if these were just part of a daily list. With this wave of new inbound links then comes a greater chance of gaining new subscribers, return readers, prospects.